It’s time to celebrate! A roofer, age 61, in Texas has a thriving C-Corporation in which his only other employee is his wife. All his other workers are independent subcontractors. The roofer was looking for a retirement plan that allowed him to build his retirement quickly and had the flexibility to add more money to the retirement plan in the years his small business was earning more income. With a combined Defined Benefit plan and a one person 401(k), the retirement program allows the roofer and his wife to contribute $435,000 toward their retirement for the next 5 years until he retires. As planned, this retirement program will allow them to defer $165,000 in taxes annually and accumulate over $3.5 Million in the defined benefit plan alone. Fortunately for all, their advisor knew them well enough to get it done in time as their fiscal year ends July 31st. Are you a roofer or do you know roofers or contractors who need a small business retirement plan? 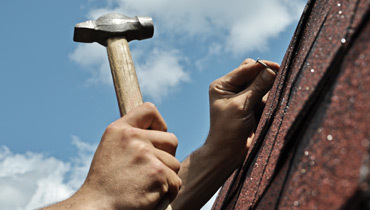 Roofers and contractors are often good candidates for Defined Benefit and one person 401(k) plans.